READING CORNER: Our “jungle-themed” reading corner is a great place to hang out in the comfy chairs and read your favorite book. Students can also take a cushion or fuzzy rug and find their own quiet spot to sit on the floor and read. BOOK BINS: These are the student’s book baskets. They keep their reading journal in there along with 10 books (8 at their reading level and 2 that are one level below it). Students can get their baskets during center time and DEAR time, as well as anytime that they are done with their work and would like to read. LISTENING CENTER: This is the listening center. Students can come over to listen to stories as well as take the mini tape players back to their desk or a quiet spot to listen to a story. CLASSROOM LIBRARY:This is our classroom library. All books are organized in baskets and are leveled with DRA reading levels. GUIDED READING AREA: This is our guided reading table. Students come over to meet with me during center time. Students are grouped by their reading level. The bookshelves behind the table contain the leveled books that are used for guided reading. Students take home their reading bag, which contains their book from reading group, to practice reading each night. WRITING CENTER: This is our writing center. Students can come over to use references such as dictionaries and thesaurus’s. They can also use decorated stationary to publish their final copies. PROMETHEAN BOARD: This is our Promethean Board. It is a wonderful piece of technology and a great educational tool. Students come up daily to use the board for all subject areas. COMPUTER CENTER: Students are allowed to use the computers when they are finished with their work as well as during indoor recess. I have many educational CD games that they can play. Students also are allowed to use any of the progams that we have used in the computer lab. FILLING BUCKETS BOARD: This is our “Bucket Filling” board. Students helped brainstorm ways to fill people’s buckets and I wrote them on the big poster. Students then signed a small bucket that said, “I will try my best this year to be a bucket filler”. They then cut out their buckets and we put them around the big bucket poster. READING GENRE BOARD: This is our reading genre board. We will be learning about different types of genres this year. As we read stories we will discuss which genre it is and we will then place a small colored copy of the book cover onto the genre board. After Christmas, students will start keeping track of the genres that they are reading on a graph that they will keep in their book bins. CENTERS: While I am working with my guided reading groups, students work independently on centers. Some centers are at the tables and students go there to complete them and some centers are in baskets on the back counter and students take them back to their seats to complete. Word Wall: Our word wall is used daily during our Daily 5 time. Children can chose to go to the word wall during “Word Work”. There is a basket over there with different activities in it to do with the word wall words. I am so impressed with all the work you’ve put into this blog! I especially love the pictures of your classroom. I’ve taught Kdg for 9 yrs and have just completed my 1st year of teaching 2nd. I love it also! The thing I’ve struggled most is creating centers for 2nd graders. Would you be able to share some insight on how you handle that. Do they stay the same for a week? How many centers do you have? How do they decide where to go? Any guidelines? I also love the genre posters. Would you be able to direct me to where you purchased those?? I have a ton of new ideas after visiting your blog! Going to a new grade level has been difficult to be patient because there is so much fun stuff out there! I teach 3rd grade and I am trying to learn all about the DAILY 5 to incorperate it into my daily routine. I am so inspired by your pictures!! I will be back. LOVE IT! Thank you SOOO much for the compliments!!! I got your email, so I will just respond to you in an email tonight. I love your website. Your classroom is amazing! I came across your site when I was looking for some word work ideas. I would be interested in some. Have a wonderful year. Thanks for the compliment. For Word Work, I use a lot of Lakeshore items. I am a HUGE fan of Lakeshore and have tons of their stuff. I also use wikki sticks, play doh, white boards, magana doodles, chalk boards, letter magnets, letter puzzle pieces, and more. I also have folders, each one has a different spelling activity sheet in it. They can take one of those along with a list of all of our spelling words. I also have activity folders for our word wall words. love are class sooooo much!!!! Hi! I love all your matching book boxes. I recognize the circle cut out ones from the dollar tree but where did you get the larger ones that hold your larger picture books? Thanks! Could you tell me where you got all of your book baskets? Thanks! I got most of my book baskets at the Dollar Tree. Hello! I am interested in classroom set up and design. Your set up is fabulous and your blog is very interesting and helpful! Thanks for the ideas!! I love your classroom and ideas as well. What specifically are the word wall activities you have your students complete? If you are willing to email any files you have I would greatly appreciate it! Absolutely loved the genres and book covers. Where did you get them or did you make them yourself? 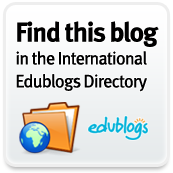 Your blog is great and so are the pics of your classroom. Everything is so GREEN! Love it! Can you tell me more about your listening center? How do you run that center in your room? I have a listening center in my classroom as well. I usually have 2-3 copies of the book with a cd. I like the idea of the individual tape players (I’m thinking I could do mini cd players)…but I’m not sure how to manage that. Any ideas or advice would be much appreciated! I now have 11 individual tape players in a basket and next to it is a basket of bags with books on tape in them. I only have one book in each bag. I put new books out every 2 weeks, and usually have 10-12 in the basket at a time. They take a bag and a tape player to their spot to use. I also have 2 computers and use them for listening to stories. We have several subscriptions to sites that read books out loud. Hope this helps. WOW!!! your classroom and ideas are AMAZING!! Some of our teachers are implemmenting the Daily 5 this year. This will be a first for anyone at our school. We are making lots of changes. This will begin my 6th year of teaching , my 2nd year to teach 2nd grade. Can you send me some ideas about centers and any wonderful ideas you have. Are you implemmenting COmmon COre Standards this year. IF so, are you teaching units? Would you be able to send me info on how you are making the transition. Awesome website! Can you give me some examples of what activities they can do during word wall work? Do the students have desks? How big is your room? It looks huge. I am writing an ebook for new teachers and would like permission to use a photo from your blog. Underneath the photo, I would have a source link that readers would be able to click to link to your blog. I appreciate your consideration in this matter, and I look forward to hearing from you soon. Enjoy your summer and please let me know if you would be willing to cooperate. Just a correction of which email I am currently using if you are kind enough to respond. Hi Mrs Short I really miss you!! as a second grade teacher I am in Mrs Dieners class its fun and I just wanted to say hi. I miss you too! I hope you’re having a great year. Hi! I love your classroom set up. It is so organized. I am a second year teacher and I have a HUGE library for my classroom. I really didn’t have a great way of organizing my books and I was wondering if you remember where you got your baskets from? (the green ones?) I need something in one color and that looks neat! Awesome blog! Hello Mrs. Short, I love your blog! I am in need of your sage advice…..where did you purchase your classroom library book bins. I’d like to make it look inviting for the kids and organized. I’ve been working per diem as a 2nd grade leave replacement and was recently hired to take the class over full time for September. I’m super excited. However, the library I’ve inherited is a complete disaster. Tips on purchasing bins would be great because I need between -40-50 and everything out there is $$$$$$. Hello, thank you for your compliments! I get all of my baskets at The Dollar Tree. Thank you very much. I buy all of my book baskets at The Dollar Tree. Great site, I love your room. You gave me some great Ideas. ;)……May God Bless you for taking the time to share and help teachers like me who love teaching but are not that creative.